Do your students need extra practice on making inferences or drawing conclusions from text like mine do? 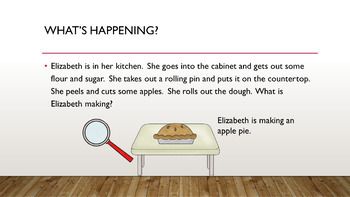 Then you will love this fun interactive Thanksgiving PowerPoint lesson. 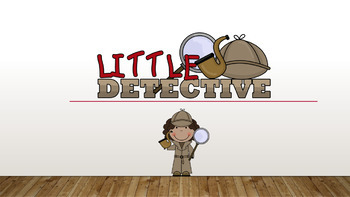 Have your students become detectives by looking for clues within the text to determine what is happening. About each slide: Each slide starts with text that your students can read or you can read to them. Next, have a student come up to the Smartboard (or you can just click if you want) to make the magnifying glass do a cool swirl and disappear. 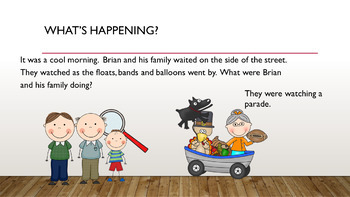 Ask students if they can guess what is happening based on the clues they read. You may need to assist in this part depending on the level of your students. When ready and the students have come up with some good guesses click to advance to the answer. The answer will appear. Click one more time for students to read the answer. Review the clues that were in the text and continue on to the next slide. There are 11 scenarios included in this PowerPoint. I have also included a visual support for non-verbal students. You can use this page to have student's guess their answer.